Here are ready answers to your gate repair and door maintenance questions from experts. How do you maintain an automatic gate? 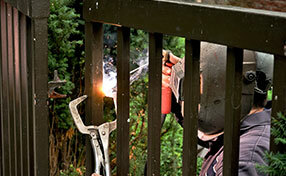 Any type of gates needs regular maintenance. Experts at Gate Repair Chula Vista advise that gates should be given regular check-up and the controls should be closely monitored to ensure good operation and longer service life. Check on the electronic parts and make sure that there is sufficient flow of power and batteries are fully charged. Check on hinges, rollers, mounting brackets and screws. Grease them regularly to prevent them from getting rusty. 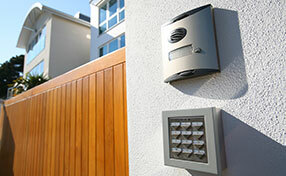 How does a telephone entry system work in a single family residence? The telephone entry system is a gate system that is used to give more security. The telephone entry system is connected to the existing phone line at home. It does not need a separate phone line. Every time someone is at the gate all he has to do is call for identification and you can give him access to enter. This is a simple entry system. Damage can be prevented mainly by regularly cleaning all exposed and moving parts. Of course periodic maintenance for the gate and gate opener should be followed. Make sure that they are clean and that there are no visible signs such as cracks and any form of damage as well. What should I know before buying a gate? 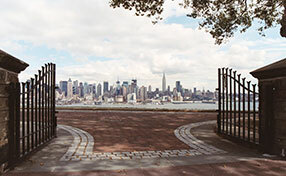 There are several factors to consider before buying a gate. Our professionals advise homeowners to first consider space, design, and material, type of gate, automation and accessories. Budget is also an important factor as well as the reason for installation such as security needs, extra safety etc. Should I buy swing or sliding gates? If you have no restrictions, then swing gates are fine. However if you have a rising driveway, sliding gates are usually more appropriate.